My name is Kenny Meekins. I am a retired high school baseball coach and athletic director from Manteo, NC. For the last 5 years, I have experienced low back pain. After retiring in Jan. 2016, I imagined my retirement being very active. The more active I tried to be, the more pain I started to experience. Riding a bike, walking, and playing golf became more difficult as the sciatica pain in my left leg became more excruciating. I started looking for a Doctor in August of 2016 to find my source of pain. 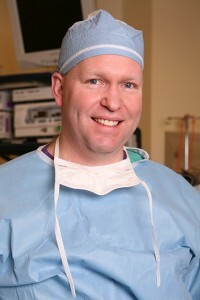 A college teammate of mine suggested Dr. Jeffrey Carlson at Orthopaedic and Spine Center. I was amazed at how fast Dr. Carlson’s office set up my appointment. My first visit was in October, and after x-rays and a MRI, Dr. Carlson informed me of the source of my pain that was coming from the L-4,L-5, and S-1 in my lower back. After being given the option of surgery or an epidural shot (which would have been a temporary fix), I chose the surgery. Dr. Carlson performed a spinal fusion on Nov. 29th,2016. The idea of this surgery did make me quite nervous , but I was assured by Dr. Carlson that I would be able to resume my normal activities in 6 to 8 weeks. Sure enough, by my 6 week post surgery visit, I was walking 2 miles in the morning and 2 miles in the afternoon. By 8 weeks post surgery, I am still walking 4 miles a day and back to the weight room doing resistance work. The most fulfilling part is that I am now pain free. After years of Advil and sleepless nights, I have my life back. I highly recommend Dr. Carlson and his staff for anyone dealing with orthopaedic pain. God bless him and his staff.